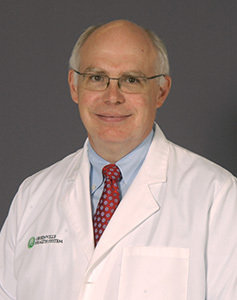 Dr. Tilkemeier is the Chair of Medicine at the Greenville Health System and a Professor at the University of South Carolina School of Medicine Greenville and the Clemson University School of Health Research. He joined the Greenville Health System in 2015 after 25 years as a cardiologist and administrative leader in the Brown University program. He has numerous publications in the areas of exercise and behavioral change and is a strong supporter of the Exercise is Medicine concept, development, and implementation. 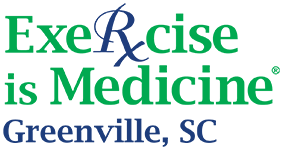 He serves an EIMG® Advisory Board member and can provide valuable input regarding the importance and role of physician champions in all phases and aspects of EIMG® implementation. Saria Carter Saccocio, MD, FAAFP, MHA, was appointed Ambulatory Chief Medical Officer (CMO) and Department Chair of Family Medicine for Greenville Health System May 2017. Her leadership supports clinical integration, quality & patient safety, medical student and resident education. 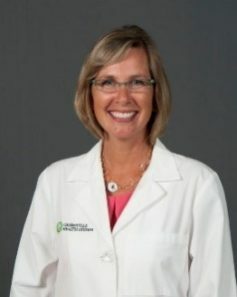 She joins GHS after serving as chief medical officer at Bon Secours St. Francis Health System in Greenville, South Carolina. She has a consistent history of leading award-winning programs and improving the coordination and quality of care for patients. During Dr. Saccocio’s tenure, she served on a team receiving the distinguished honor by Truven Health Analytics as one of the 100 Top Hospitals Award Winner for achieving lower mortality rates, fewer complications, shorter patient stays, and reduced readmission rates. Becker’s Hospital Review recognized Dr. Saccocio as one of the top 100 Hospital and Health System CMOs to Know for 2016 and 2017. 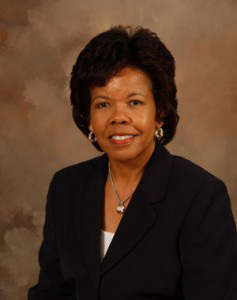 Brenda J. Thames, EdD, Health Sciences Center Executive Vice President and Provost, joined Greenville Health System in 2007. In her current role, Dr. Thames is responsible for the leadership and strategic direction of all education and workforce development initiatives at GHS through the GHS Health Sciences Center. She works with local schools and regional colleges and universities to develop collaborative partnerships focused on advancing health care through improved and expanded opportunities for current and future health professionals. Prior to joining GHS, Dr. Thames served as associate dean for research and graduate studies in the College of Health, Education and Human Development at Clemson University. Dr. Thames serves on numerous boards and committees representing the voice of health care, particularly from education and workforce perspectives. 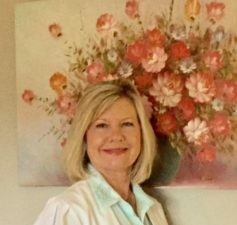 She earned a bachelor’s degree in home economics from Mississippi State University as well as a master’s degree in guidance and counseling and a doctorate in vocational and technical education from Clemson University. 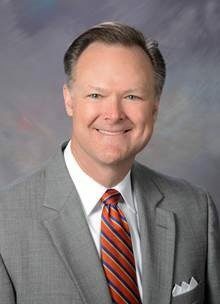 David Sudduth, Health Sciences Center Vice President and Chief Operating Officer, has more than 25 years of experience in healthcare finance, economic development and government affairs provide the tools necessary for this integral position. He also served four years active duty in the U.S. Navy from 1982-1986. David began his healthcare career at Greenville Health System in 1991 and advanced to several managerial and director roles within GHS and Bon Secours St. Francis Health System. 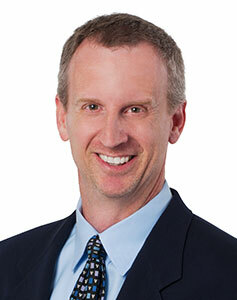 Most recently, David served as GHS’ Executive Director of Community & Government Affairs. Ann Blair Kennedy joined the faculty at the University of South Carolina School of Medicine Greenville as a Clinical Assistant Professor in May of 2017. She teaches in the Division of Behavioral, Social, and Population Health Sciences in the Department of Biomedical Sciences. 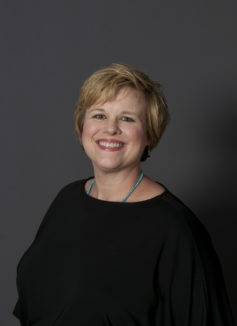 She is also the Co-Director of the Greenville Health System Patient Engagement Studio. During her Postdoctoral Fellowship with Dr. Trilk’s Human Performance Lab, she led the EIMG® Program Design Task Force in the creation of the exercise intervention and developed the Implementation Monitoring and Process evaluation plan for the project. She has published on the topics of physical activity, health promotion, and lifestyle medicine in several journals including the Journal of the American Medical Association, Current Sports Medicine Reports, and the American Journal of Lifestyle Medicine. Dr. Kennedy’s specific research interests include: patient and stakeholder engagement in research, stress and wellness particularly in families with children with special needs, behavioral change interventions, as well as implementation monitoring and process evaluation. 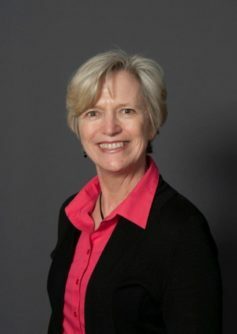 She is the recipient of an Arnold and Colonial Life Fellowships, the USC Dean’s Award for Excellence in Leadership, and Outstanding Volunteer Chair for the American Massage Therapy Association. She is also the Executive Editor of the International Journal of Therapeutic Massage and Bodywork. Mary Jane is the GHS Manager EHR Informatics and brings 40 years of experience in clinical nursing in the areas of: NICU, Obstetrics, Labor and Delivery, Pediatrics, Home Health, Case Management, Quality/Risk, Management/ Director and most recently for the past 7 years in Clinical Informatics. As manager of the Electronic Health Record Clinical Informatics Department for the Greenville Health System, Greenville, SC she and her team support 900 + physicians and 3600 + nurses and clinical staff in: clinical documentation design, regulatory compliance, project management, clinical analytics reporting and clinical content development in the EHR. She has helped to lead her organization in the past 4 years for Incentive programs such as: Meaningful Use and Physician Quality Reporting System, Accountable Care, Patient Centered Medical Home and The Joint Commission. Mary Jane has a passion for health prevention through exercise, nutrition and functional medicine. Seeing patients being proactive with their health is most important! Her working vision: To be creative, informed and compassionate in order to care for the patients, staff and customers we serve! Jeannie Lee is the Manager of the Greenville Health System Life Center. She brings over 26 years of hospital based wellness and fitness experience to the team. Jeannie is a credentialed EIMG Professional. Her fitness certifications include Peak Pilates Comprehensive Certification, ACSM certified Group Exercise Leader, ACSM Certified Personal Trainer, YogaFit Level 4 Instructor and workshops concerning Active Isolated Stretching (AIS) in the Aaron Mattes method. Jeannie has been with the GHS Life Center since 2000 and has been the manager since 2008. The Life Center is a 55,000 square foot medically based wellness facility that offers various programs, services and amenities. Jeannie is a graduate of Clemson University. Jeff Knox, District Executive and Association Director of Wellness for the YMCA of Greenville, is a 30-year YMCA professional with extensive experience in community health initiatives in Tennessee, Alabama, and South Carolina. His passion is improving the quality of life of each individual and the community, and the communities we serve. Jeff has worked in partnership with the Alabama State Alliance on Health and the Alabama Health Department to bring chronic disease management programs to underserved populations. In junction with the Pediatric Alliance and YUSA, he designed and developed the first youth fitness center in Montgomery specifically targeting obese youth in the community. Jeff is a 1990 graduate from the University of Alabama and has a 15-yr old daughter with his wife Leslie, who is also a health and wellness professional. 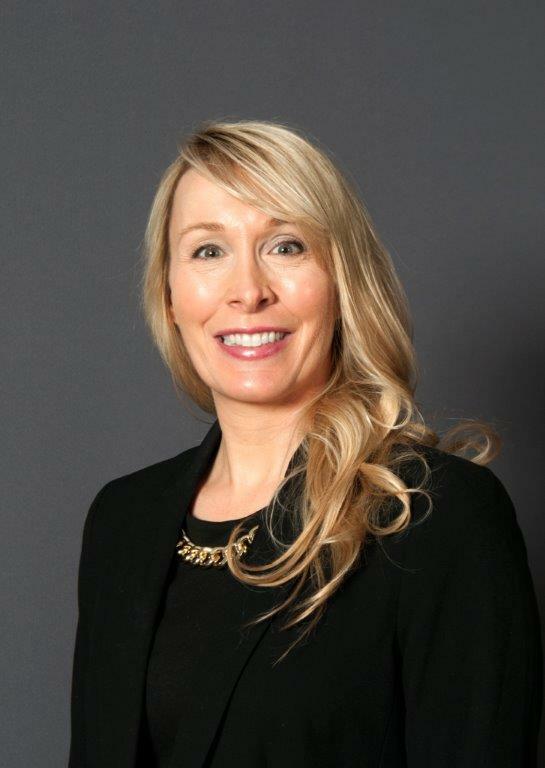 Robyn Stuhr was appointed Vice President, Exercise is Medicine® (EIM) at the American College of Sports Medicine (ACSM) in October 2017. 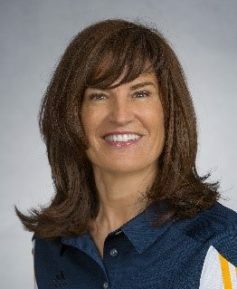 She previously served as Sports Medicine Program Director at UC San Diego Health, acting as liaison to the U.S. Olympic Committee Medical Network, and as Vice President of Academy at the American Council on Exercise. As exercise physiologist and administrative director, Robyn helped to create the first Women’s Sports Medicine Center in the United States at Hospital for Special Surgery in New York, dedicated to the treatment of active and athletic women. She has 30 years of clinical and administrative experience in health care including: cardiac rehabilitation, business and occupational health, health promotion and sports medicine. Robyn is certified by ACSM as a Registered Clinical Exercise Physiologist (RCEP), by the National Academy of Sports Medicine (NASM) as a Corrective Exercise Specialist (CES), and as a Bone Fit™ trained professional by Osteoporosis Canada.